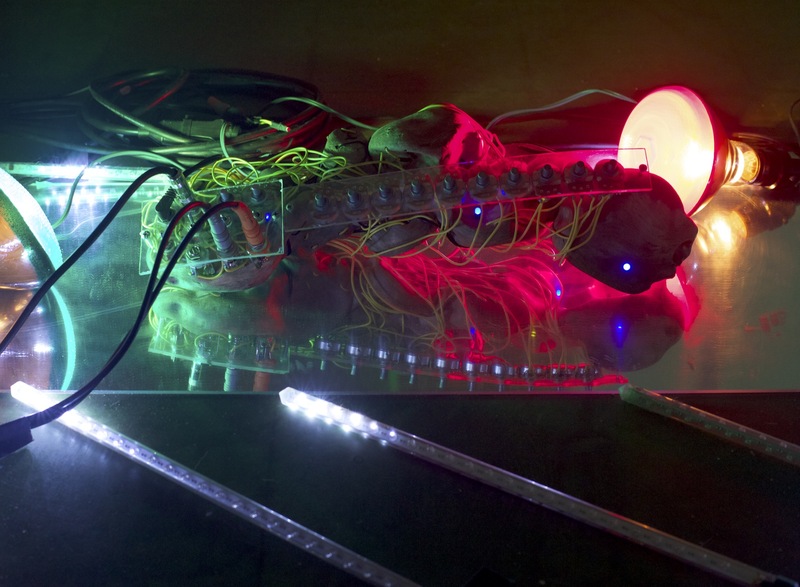 Ornamental Hypergate Conglomerate is a generative electronic system that outputs light and sound. 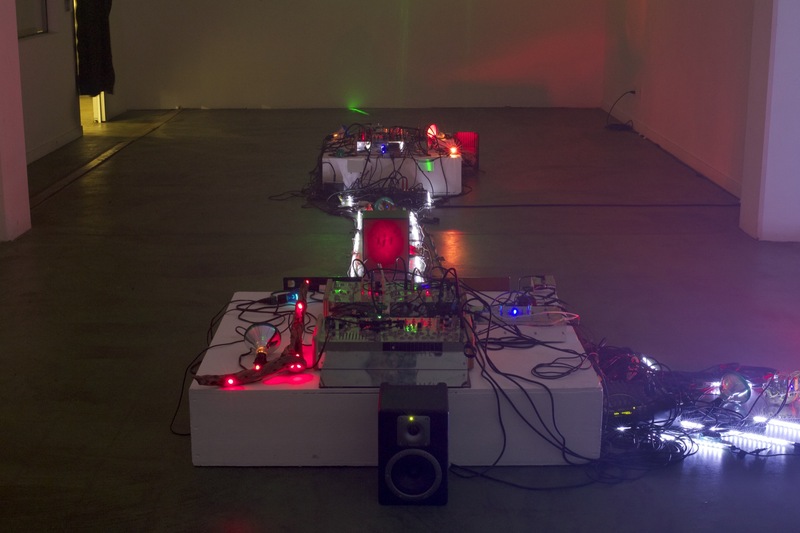 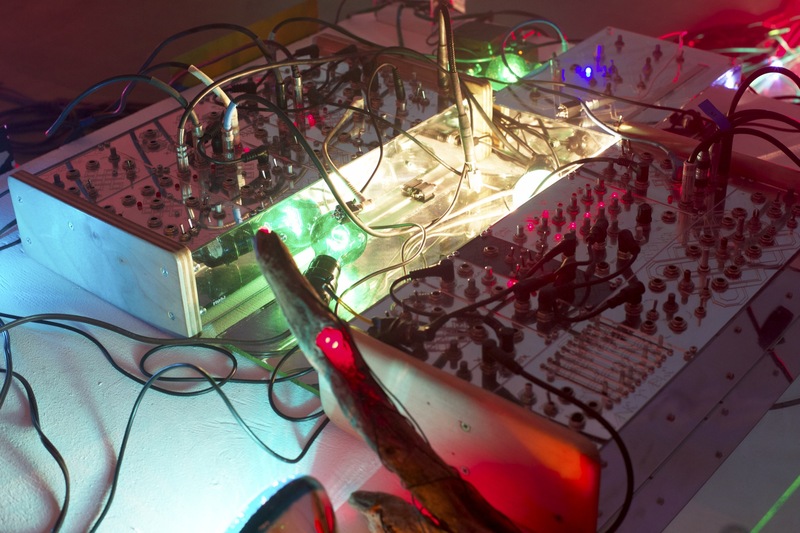 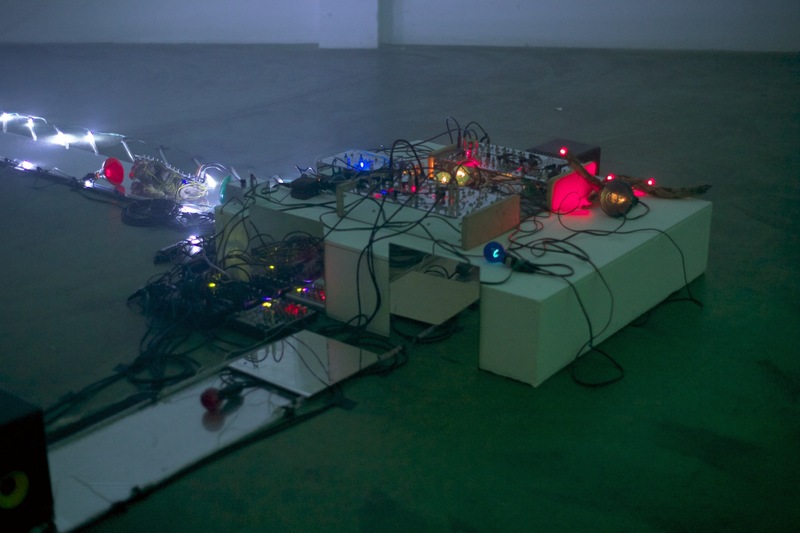 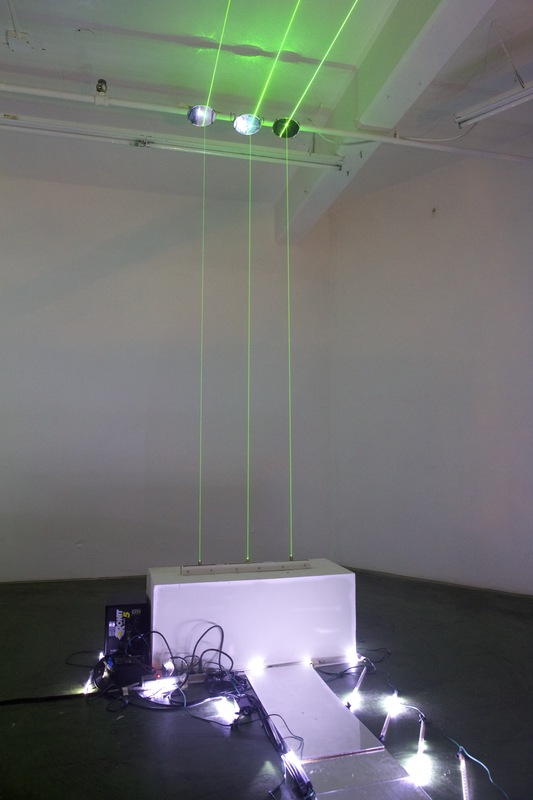 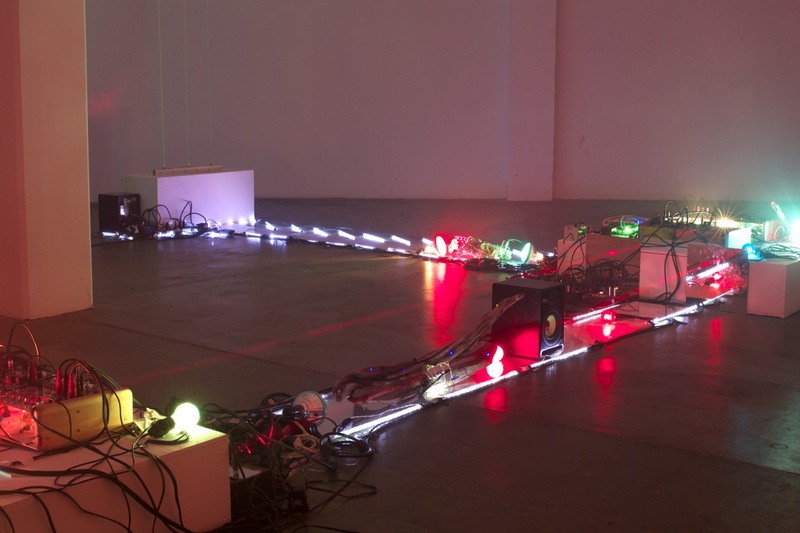 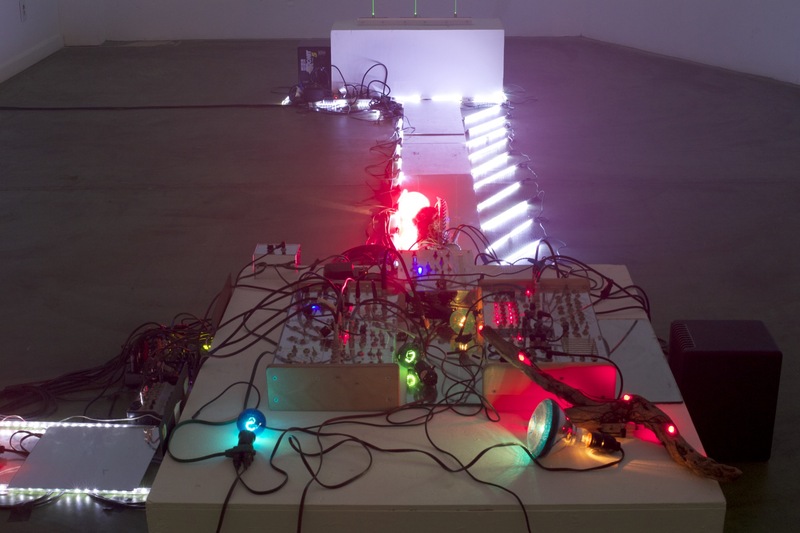 In this installation, conglomerations of digital logic gates being run as analog circuits in feedback systems comprise the score of a musical composition. 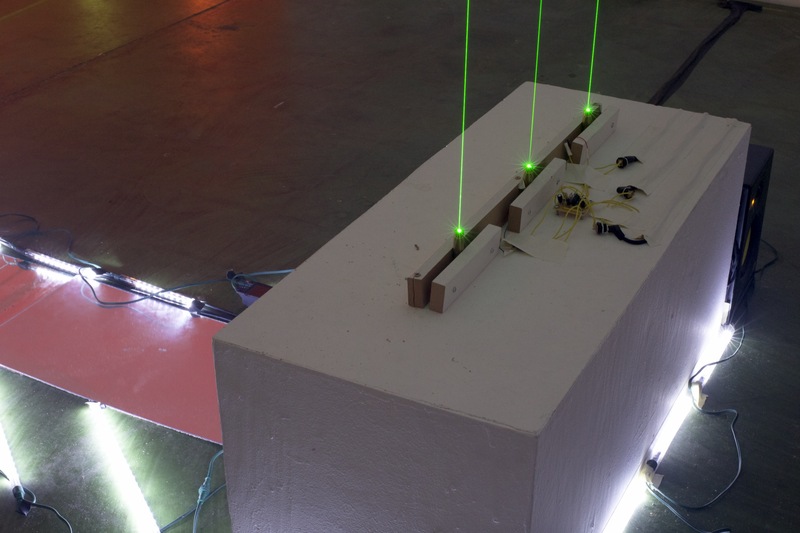 The forms produced are spread across four loudspeakers in a structure that points to a square unfolding into a tesseract. 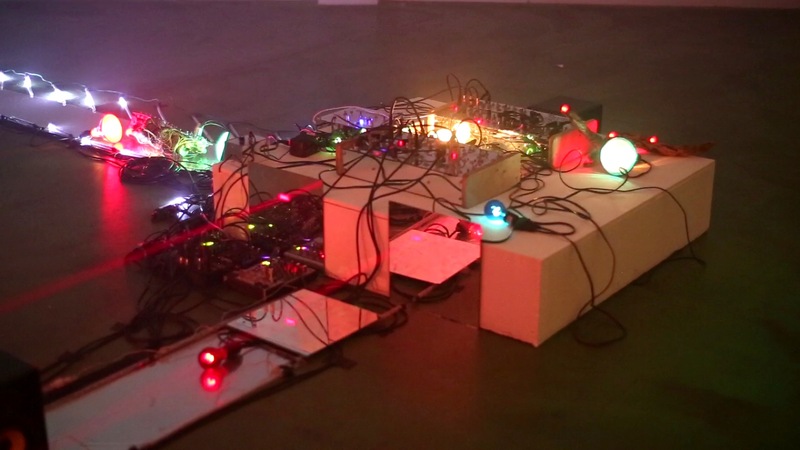 Sound is used as a hyperspatial sculptural medium that reveals its form through iteration.